As you all probably know by now, every month I upload at least one new and exclusive recipe to the Protein Pow App. Last month’s recipe was this Banana Protein Fluff, the month before it was this crazy Whey Protein Bread, and this month, it’s the recipe for Chocolate Peanut Butter (Low-Carb & Gluten-Free) Protein Bars. What are the bars like? Well, they’re soft, rich, and they taste like chocolate, peanut butter, and… BLISS. I was actually going to call them ‘A Chocolate & Peanut Butter Lover’s Dream Protein Bars’ but I thought that was too wordy a title. It’s what they’re like though: a dream come true for those of you who, like me, are passionate about the chocolate and peanut butter combination. You know what else is great about these bars, besides their texture, flavor, and the fact that they’re really easy to make? Their macros! I mean, look: per protein bar: 173kcals, 14g protein, 7g carbs (out of which 5g is fiber) and 9g fat. The fat comes primarily from the dark chocolate coating of the bars so, if you wanted to make your bars lower in fat still, you can. Just eat them the filling au naturelle. In other words, enjoy your bars naked (the bars I mean, not you! Although I guess if you want to… hehehe). Do check this recipe out – along with the 140+ recipes in the app, and make a big batch of these bars to snack on for a few days! Your tastebuds and healthy snacking goals will definitely thank you for it. PS: If you’re wondering why the app is worth downloading if there are so many *free* recipes here at Pow, read this. 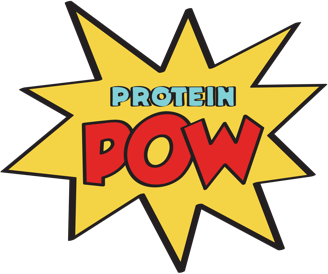 PPS: If you have the Protein Pow App on Android or Windows, please give it a couple of days for this recipe to show up on your app – the recipes just take a bit longer to upload on non-iOS platforms.